BALZAC � Judgement Day out now! It�s been already a year since BALZAC released their last album �Paradox� all over Europe, but Hirosuke and his bandmates are true diehards – just like the creatures they deal with in their songs and so there is a new album on the way: �JUDGEMENT DAY�, the title of the brand new album promises a lot of fear and destruction the way BALZAC fans love it � and it�s true! BALZAC return to their roots with singalong hooklines and fast pace drumming! But there is also improvement: The songs �Blackened� and �Judgement Day� present an increase of fierce guitar melodies, which will catch your ear in a second! The European release will also include 5 bonus tracks and is not available in japan in this form. So go and get your record if you dare to go on a ride with BALZAC! It’s been a year and a half since Balzac’s last major release. 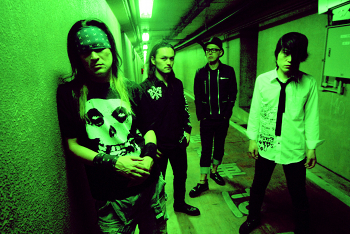 They have just announced a new mini-album,”Paradox” which is fully-produced by Takeshi Ueda of The Mad Capsule Markets/AA= fame. Balzac and The Mad Capsule Markets have had a close relationship for over 13 years and finally they have had a chance to collaborate on this very special release. Takeshi has not only fully produced the entire mini-album, he has also done all the programming and recording arrangement. 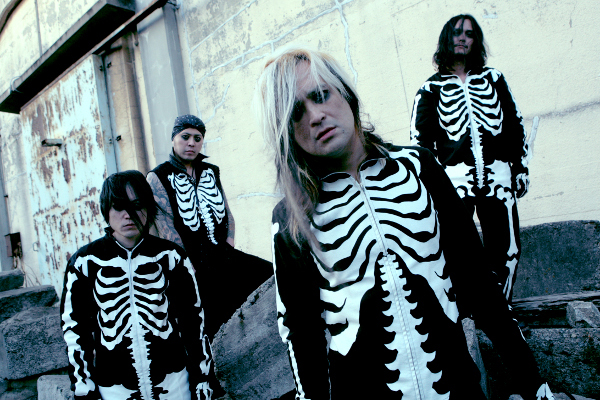 Balzac has taken their established horrorpunk sound and brought it up a level amalgamating in a perfect blend of distortion and unprecedented destruction. This sound is what Balzac refers to as a new digital horrorpunk sound. Gan-Shin Records will release �Paradox� in Europe on 16th of October. This mini-album will come with an exclusive 18-track(!!!) bonus DVD! The DVD includes two clips of the �Paradox�-album and 15 more clips from the last Gan-Shin release �Hatred�. There will also be a special bonus track on the DVD. This CD+DVD Special Edition of �Paradox� will only be released in Europe by Gan-Shin Records! Not available in Japan!